This Crew Neck T-Shirt is made from 95% Cotton & 5% Spandex. Our Collection at Boxers and Briefs contains only the highest quality Lacoste Mens Underwear. In our Lacoste Crew Neck range we have the Lacoste Cotton Stretch 2 Pack Crew Neck T-Shirt. This 2 pack Cotton Stretch Crew Neck is made from Real Cool Cotton with Moisture management to keep you cool & dry. 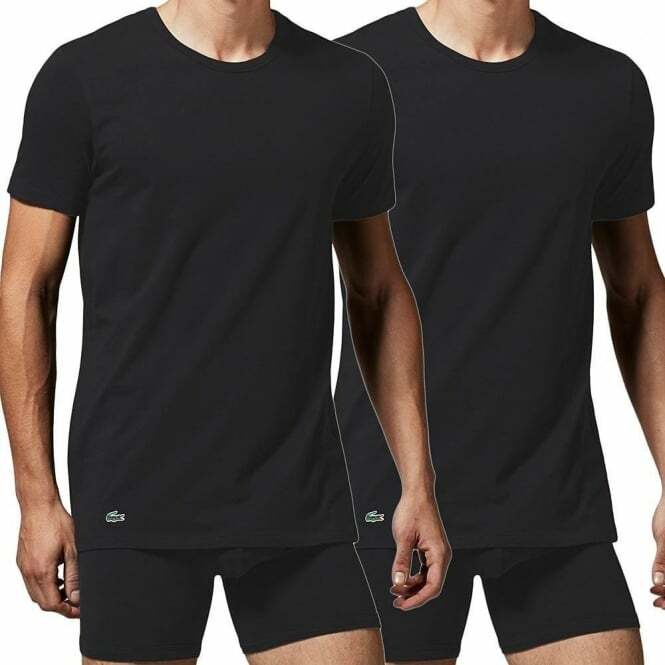 We have the Lacoste Black Crew Neck T-Shirt in multiple sizes ranging from size Small to Extra Large.